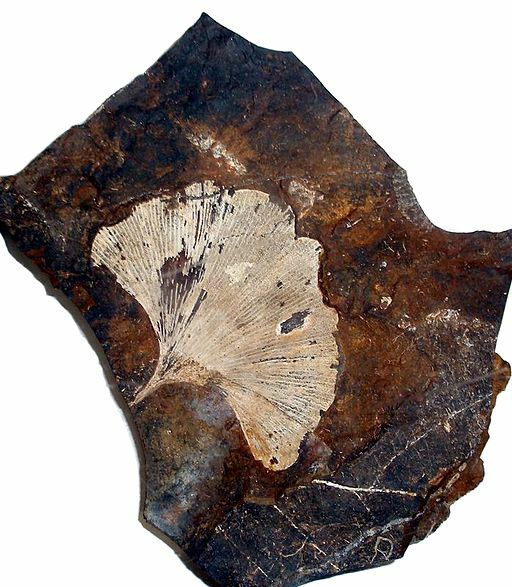 Ginkgo biloba (G. biloba), also called the maidenhair tree, is branded as a “living fossil”, as it is the only surviving member of the Ginkgo genus (Johnson et al., 2010). It is a perennial tree that can grow up to 40 metres in height. It is characterized as having light green, fan shaped leaves with two or more distinctive lobes, and brown, deeply fissured bark. Male and female trees are separate and require one another for fertilization; male trees contain pollen on catkin-like cones, while female tree ovules are rounded. After fertilization, yellow tinted seeds form, which are shaped like plum (EOL 2018). Although G. biloba is native to China, it can now be found in the United States, Japan, and Korean. However, the majority of supplement products come directly from China (Kew Science 2018). For example, in 2012, China contributed 46% of total global sales, which amounted to US$578 million (IARC 2016). Wild populations of the species are only found in Zheijang province in remote mountainous valleys (Isah, 2015; Nakanishi, 2005). It grows best in temperate and subtropical climates which makes it an excellent candidate as roadside plants (Isah, 2015; Gopichand & Meena, 2015; Singh et al., 2008; Tredici, 2007). It is often used as an ornamental plant because of its resistance to environmental stress such as microbial diseases, pests and air pollutants (Mohanta, 2012; Tredici, 2007). Due to its popularity as an ornamental plant it is grown globally, specifically: Asia, Europe, North America and the UK (Singh et al. 2008; Tredici, 2007). Because G. biloba is dioecious, the male and female reproductive parts are on separate plants (Isah, 2015; Jin et al, 2012; Tredici, 2007). Receptive ovules on the plant secrete drops of mucilaginous fluid from the micropyle which captures airborne pollen grains released from a male G. biloba plant (Isah, 2015; Jin et al., 2012). The fluid is then retracted into the pollen chamber (Isah 2015; Jin et al. 2012). The male gametophyte requires 4 months of development in order to produce a pair of multi-flagellated spermatozoids which fertilize the egg (Isah 2015; Tredici 2007). One month after fertilization the fruit drops to the ground and takes up to 8 weeks for the embryo to become mature (Isah 2015). Despite being able to produce seeds, G. biloba has a low germination rate so other methods must be used to cultivate the plant (Bitencourt et al. 2007; Tredici, 2007). G. biloba also has a long juvenile period which makes propagation difficult. In warmer climates, the seeds germinate earlier in the year than cold climates (Isah 2015; Gopichand & Meena 2015; Singh et al. 2008; Tredici, 2007). Commercial G. biloba trees are grown in rows and are cut to 3-6 feet tall, to promote the outward growth of new shoots, as opposed to upward growth. These new shoots promote the growth of fruits on the trees. Commercial farmers use modified cotton harvesting machines to beat the leaves off of the trees. The leaves are then collected, transported to a drying facility, separated from fruits and other unwanted materials, and then dried and shipped off. The majority of the commercial G. biloba leaf supply comes from farms in China, however, some of the supply does come from South Carolina and France (Johnson et al. 2010). 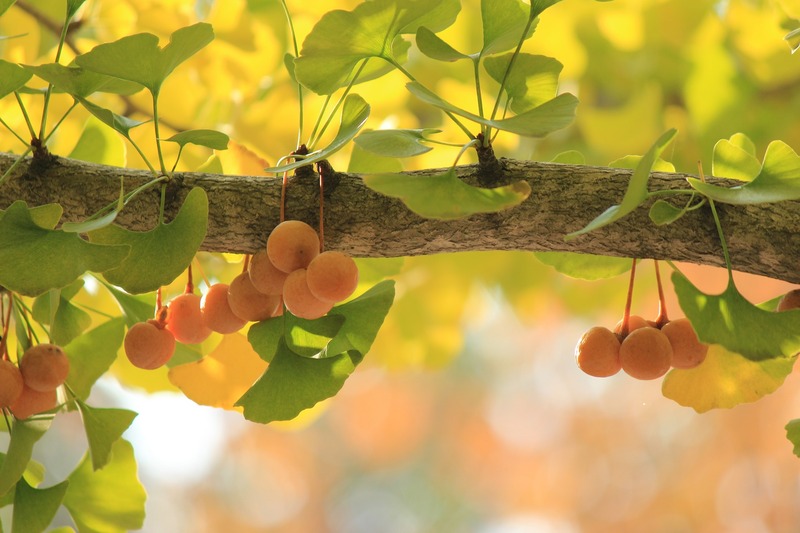 The use of G. biloba has been recorded in Chinese medicine about 5000 years ago and is the only surviving member of Ginkgoaceae family and Ginkgoales order (Nakanishi 2005). It is estimated to have survived for about 180 million years relatively unchanged (Liestner & Drewke 2010; Singh & Ahuja, 2008). Ginkgo is derived from the term silver fruit in Japanese; Biloba refers to the bilobed leaves that the tree is known for The English name, maidenhair tree, is due to its resemblance to the maidenhair fern (Isah 2015; Nakanishi 2005). Traditionally, G. biloba was used to treat asthma and senility. More commonly, the nut is used for culinary practices and is often used as an addition to a meal as a side dish or garnish for a dessert (Isah 2015; Nakanishi 2005). The plant has deep rooted significance in Asia and has been represented in vast mediums of art. The earliest written reference to G. biloba is from the year 980 in the Ko Wu Tshu Than by Lu Tsan-Ning in China. Many botanists believe that G. biloba is a horticultural representation of the connection between the East and West as its introduction into Europe led o the cultivation and use of the plant in the Western world. This attracted scientists, botanists and artists alike which resulted in a thorough documentation of the plant through studies and artistic interpretation (Crane et al. 2013). In more recent years, G. biloba has found significant popularity commercially as a commonly consumed medicinal plant due to reports which suggest that preparations made from leaves have neuroprotective benefits for treating neurodegenerative diseases such as Alzheimer’s Disease. G. biloba contains several known bioactive components such as terpene trilactones and flavonoid glycosides. These compounds are believed to be responsible for G. biloba’s purported bioactivity (Stromgaard & Nakanishi 2004; Singh et al. 2008). Consumption of G. biloba has also been shown to be potentially useful for treatment of other neurological ailments (van Beek, 2005). For instance, a standardized extract made from leaf tissues known as EGb 761 (6% terpene trilactones and 24% flavonoid glycosides) has shown promising results clinically for treatment of ADHD (Mohanta, 2012; Sandersleben et al., 2014). Preliminary research has also indicated that G. biloba can be beneficial for treatment of schizophrenia but should only be used as an adjunctive therapy to pre-existing medication as a neuroprotector (Mental Health America, 2018). While the exact mechanism is still unclear, G. biloba has been found to increase circulation, oxygen flow and nutrients to the brain which in turn may explain its ability to improve concentration, mood and mental stability (Fiedler, 2009; Bourne, 2015; Singh, Singh and Chan, 2010). G. biloba is classified as an endangered species (Gopichand & Meena, 2015; Mohanta, 2012; Purohi et al., 2009). Although G. biloba is cultivated around the world, “wild” populations reflect genetic similarity in the Zheijang area likely due to the cultivation of the plant by Buddhist monks (Isah, 2015; Mohanta, 2012). In addition, G. biloba is being exploited for its medicinal qualities (Gopichand & Meena 2015; Pandey et al. 2011; Purohit et al. 2009; Shekhawat & Manokari 2016). Because of the unsustainable use, populations are declining at a rapid rate, which in turn has led the IUCN to categorize G. biloba as endangered (Isah, 2015;Shekhawat & Manokari, 2016; Pandey et al., 2011; Purohit et al., 2009). Bitencourt, J., Mayer, J. L. S., & Zuffelato-Ribas, K. C. (2007). Vegetative propagation of Ginkgo biloba by air layering. Rev. Bras. Planta Med 9(2): 71-74. Bourne, E. (2015). The Anxiety and Phobia Workbook. Oakland, California: New Harbinger Publication. Crane, P. R., Nagata, T., Murata, J., Ohi-Toma, Tetsuo, DuVal, A., Nsebitt, M. & Jarvis, C. (2013). GINKGO BILOBA Connections with people and art across a thousand years. Botanical Magazine 30(3): 239 – 260. Gopichand & Meena, R. L. (2015). Standardization of propagation and agrotechniques in Ginkgo biloba L. – A medicinally important plant. Journal of Medicinal Plants 3(4): 6 – 15. Germplasm Resource Information Network (GRIN). (2018) Taxon: Ginkgo biloba L. Electronic Document, https://npgsweb.ars-grin.gov/gringlobal/taxonomydetail.aspx?id=17540. Isah, T. (2015). 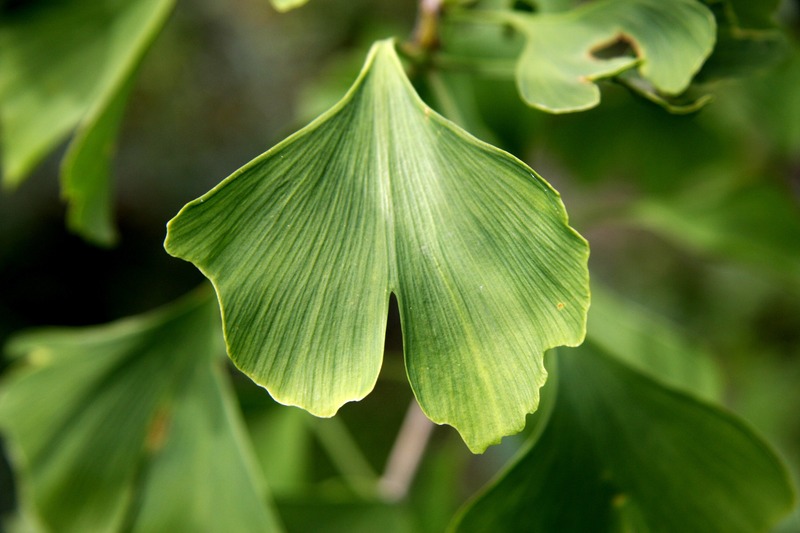 Rethinking Ginkgo biloba L.: Medicinal uses and conservation. Pharmacognosy Reviews 9(18): 140–148. Jin, B., Zhang, L., Lu, Y., Wang, D., Jiang, X. X., Zhang, M., & Wang, L. (2012). The mechanism of pollination drop withdrawal in Ginkgo biloba L. BMC Plant Biology 12: 59. Mohanta, T. K. (2012). Advances in Ginkgo biloba research: Genomics and metabolomics perspectives. African Journal of Biotechnology 11(93). DOI: 10.5897/AJB12.627. Nakanishi, K. (2005). Terpene trilactones from gingko biloba: From ancient times to the 21st century. Bioorganic & Medicinal Chemistry, 13(17): 4987-5000. Pandey, A., Tamta, S. and Giri, D. (2011). Role of auxin on adventitious root formation and subsequent growth of cutting raised plantlets of Ginkgo biloba L. International Journal of Biodiversity and Conservation 3(4): 142-146. Purohit, V. J., Phondani, P. C., Rawat, L. S., Maikhuri, R. K., Dhyani, D. and Nautiyal, A. R. (2009). Propagation Through Rooting of Stem Cuttings of Ginkgo biloba Linn. – A Living Fossil Under Threat. Journal of American Science 5(5): 139-144. Tredici, P. (2007). The phenology of sexual reproduction in Ginkgo biloba: Ecological and evolutionary implications. The Botanical Review 73(4): 267-278. Van Beek, T. A (2005). Gingko Biloba. Taylor and Francis c-Library.